The practice and ideal of charity have long been associated with the festive season – and this has been a recurring theme on this blog. Probably the most famous case of this comes from the book – not to mention the numerous stage and screen versions – of philanthropy and misanthropy in Charles Dickens’ 1843 A Christmas Carol. Last year Frank Christianson wrote for us on this and other cases of charity in the novels of Dickens, locating his literary stylings firmly within wider social debates. For Scrooge and the Cratchits, Christmas provides the fitting backdrop for the reconstruction of domestic charity. This is not only something we see in fiction, of course, but something we come across in the archives as well. This time last year, Claudia Soares shared with us her research on Victorian and Edwardian Waifs and Strays homes and how they celebrated ‘the festival of the Home’. Although she found biological relatives were not absent from the children’s lives at this time of year, the institution loomed large. And Christmas was celebrated in style, although we should not overlook the role of these festivities as a focal point or cultural frame for funding campaigns. The ability of Christmas to conjure up ideals of home were even more important for those whose charitable works took them further afield. Indeed, Victorian missionaries were conscious to take with them on England’s seasonal charitable traditions that stretch back to the Middle Ages. 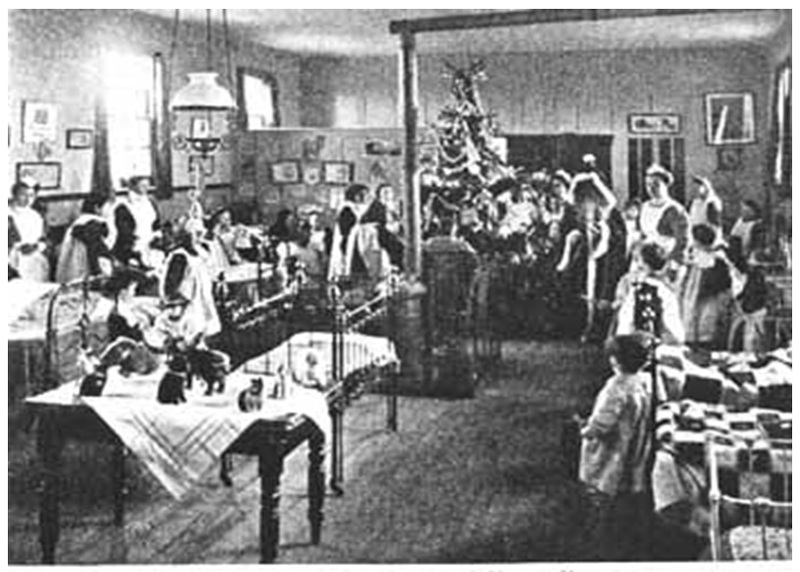 Decorations, gifts and feasting were all to be found in the Anglican Church Missionary Society’s leper colonies in 1930s Uganda. As Kathleen Vongsathorn wrote for this blog two years ago, for the leprosy patients this meant a time of ‘civilised’ celebrations. 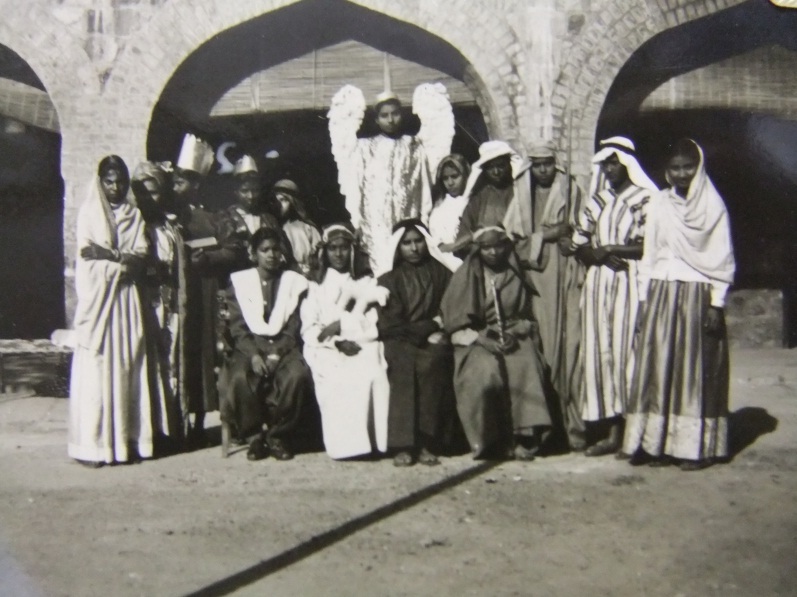 The missionaries of the evangelical CMS and those of the high-Church Society for the Propagation of the Gospel were also celebrating Christmas in India in the early twentieth century. Andrea Pass also wrote for us, describing a less than Dickensian Christmas dinner of goat curry from a palm leaf plate. Despite this, her research uncovered a real effort to make Christmas in the Indian mission field as traditional and familiar as possible. This included Festal Evensong on Christmas Eve and celebrating the Eucharist on Christmas morning, as well as the staging of nativity plays. These explorations of charity at Christmas have been just some of the many fascinating glimpses contributors have granted us in the past two and a half years since Georgina Brewis and I set up this blog. I have thoroughly enjoyed my time as editor and look forward to being a regular reader and occasional contributor when Kevin O’Sulluvan and Megan Webber take over the reins in the new year. This entry was posted in George Campbell Gosling and tagged Christmas. Bookmark the permalink.